In today's world making a quick and wise decisions, is an important aspect of effective management. 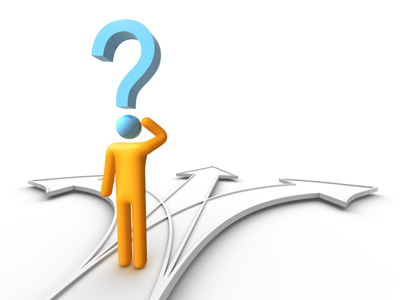 But then the question arises how could managers make quick and at the same time wise decision? A "made"decision leads to either positive or negative results. Some of the decision's outcome is predictable and some may bring surprises. There are many ways through which we could make a decision quicker and wiser. We need to have few of the historic information of previous decisions made and we need to make it a mandatory process to document our thoughts and solution that has been made in the business over the years. Statistical data is most important part of the historic information. As we say that figures plays an important role in business, if we have accurate statistics then future decisions related to similar situation can be made quicker and easier. It is always recommended that historic information related to various Critical Success Factors are very much important. In a Business one has to identify the Critical Success Factor prior to any decision making. A centralized repository if maintained will surely help us in future. There are many other tools to help us make effective decisions. Brainstorming is a wonderful tool to faciliate a good decision making process. Different humans have various ideas and innovations, so gathering them and choosing the best out of them would be helpful. In this situation we recommend that the manager applies a participative decision making approach, to reach to a fruitful decision. The decision may lead to positive or negative outcome but this is a great opportunity to get those life lessons and learn from mistakes. By making this a learning experience, managers increase the probability of effective decisions in the future.